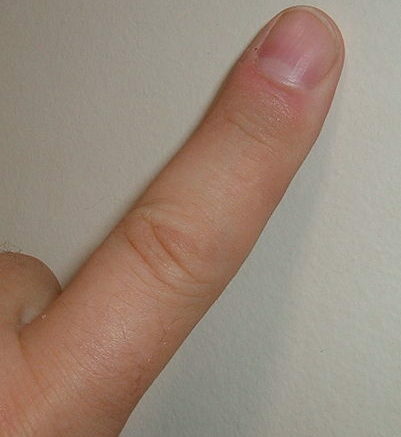 NICE AND EASY: When is “finger tight” tight enough? Finger tight. Pretty self explanatory, right? It’s as tight as you can make something with just your fingers. It’s not a precise measurement, obviously, but it’s good enough to give you some idea what you’re doing. For most home theater projects, finger tight is not tight enough. Most folks will connect their coaxial cables just finger tight to their equipment, and that may not quite do it. With RG6 cables of any kind, you should always have a 7/16″ wrench handy. You don’t have to torque the cable so hard it breaks, but sometimes an eighth-turn can make a difference. When it comes to splitters, finger-tight will only get you about halfway there and the wrench should go the rest of the way. You should be able to feel some resistance when you tighten with a wrench; don’t go past that point or you’ll break the connector. The same goes for grounding screws and blocks. Use a screwdriver to tighten the ground wire down, otherwise it may not make complete contact and that means it’s not very useful. On the other hand, if you’re assembling an antenna or anything made of aluminum, anything with a wingnut, finger tight is plenty tight. Overtightening a bolt on an antenna will tear right through it or at least deform it. There’s no point in that. Unless the instructions say so, don’t ever use a wrench to assemble an antenna, although you should use one to mount it.